The Invention of Wings: The Rest of the Story – Travel. Garden. Eat. 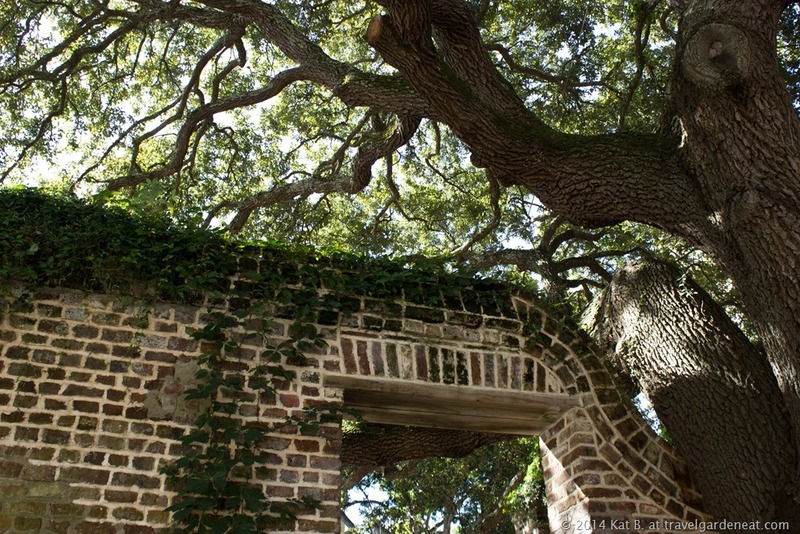 Charleston is a city overflowing with history, culture, and beauty …. not to mention an endless abundance of memorable food options. A long weekend with camera in hand could yield months of blog posts at the rate I have been posting lately! 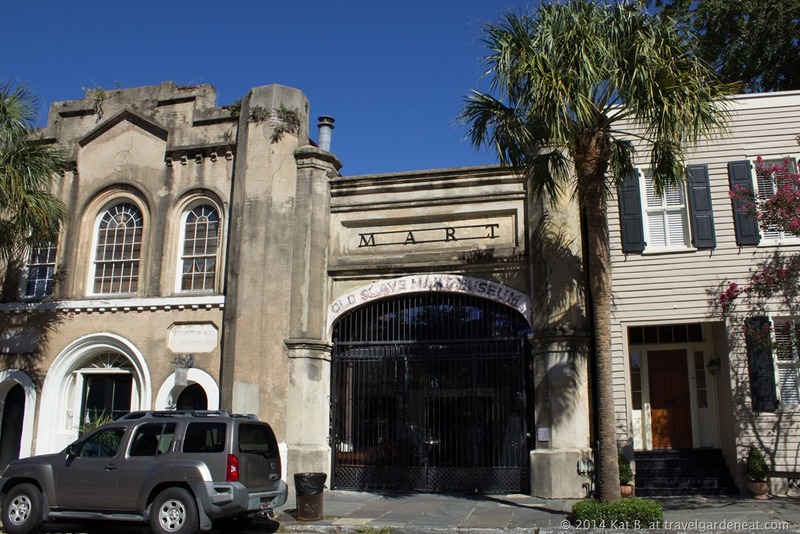 First, though, I want to share with you an opportunity that is available only through the 26th of October, as part of the Preservation Society of Charleston’s Fall Tour of Homes: the “Invention of Wings” walking tour. If you are in the Charleston area during the month of October, I urge you to order your tickets now for this tour that is certain to sell out as the word spreads about it. 2019 Update: This walking tour now appears to be scheduled on request through the Grimké Sisters Tour website at http://grimkesisterstour.com/. The two-hour tour was led by Lee Ann Bain, who has put together the tour based on Sue Monk Kidd’s popular novel, The Invention of Wings. 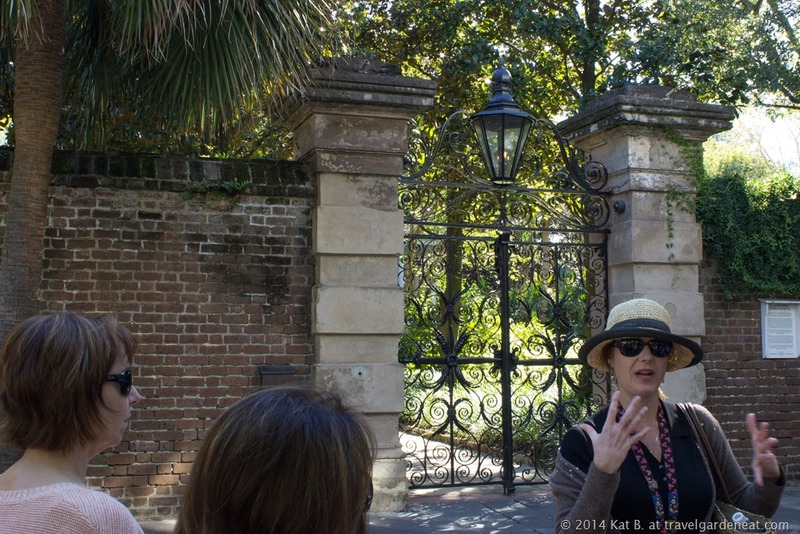 The walking tour expands on the historical fiction profiles of the Grimké sisters to illustrate pre-Civil War life in Charleston, and goes beyond with fascinating research regarding interesting extended family stories and perspectives of both slaves and slave owners during the periods covered in the novel and beyond. Shortly before I left for the special weekend with my mom and sister, Charleston-area blogging friend Tina, over at Travels and Trifles, sent me a link to an article in the Post and Courier discussing the Grimké sisters and the tour we were scheduled to take just a few days later. I was reminded of the community we build through our blogs, and was touched by Tina’s thoughtfulness in following up with me, after previously sharing other Charleston travel recommendations. The Post and Courier article provides a brief overview of the Grimké sisters’ lives, but the rest of the story will have to be shared on the tour — no spoilers here! 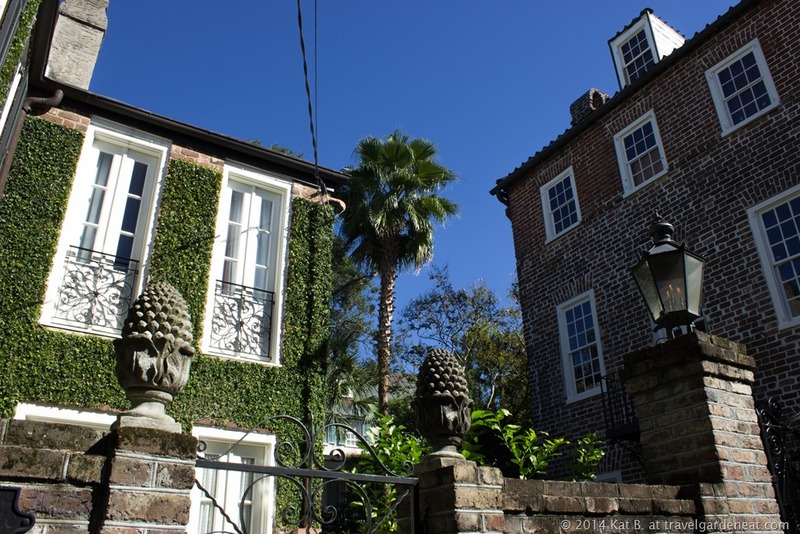 The tour winds through some of Charleston’s noteworthy neighborhoods, with architectural details galore. Many of the buildings captured in these photos are significant to the story of the Grimké sisters and their family, and tour guide Lee Ann Bain uses these structures as the backdrop to bring to life the history behind them. 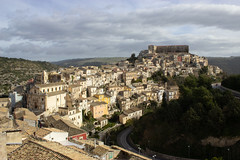 In between historical stops, the walk takes you through postcard-perfect settings. 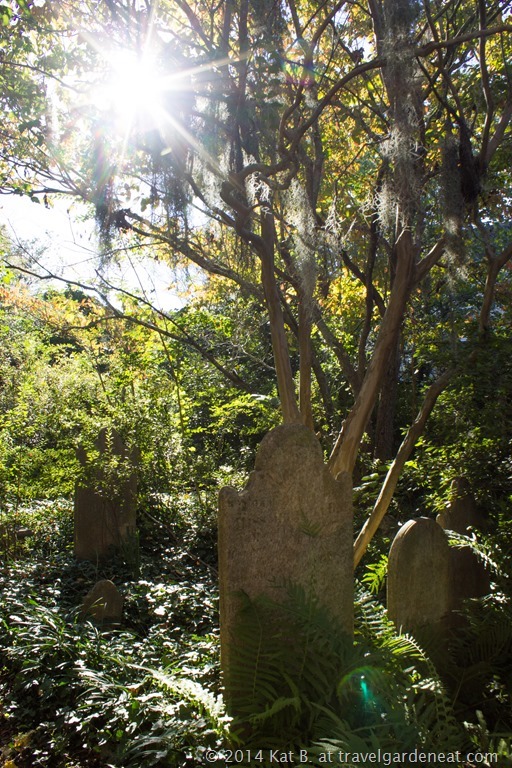 From the tour’s start in the Unitarian Cemetery (pictured above), to the stop in front of the First Scots Presbyterian Church, the story of the Grimké sisters is intertwined with the story of Charleston. The majestic oaks define the landscape everywhere you look. 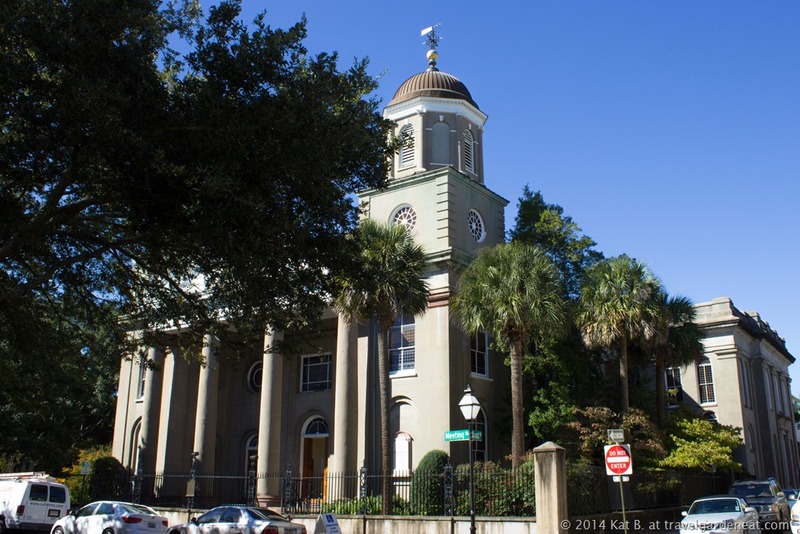 The tour also weaves in the critical history of the slaves that were brought to Charleston against their will, and provides some insight into how the abolitionist movement changed the landscape of the South for men and women. 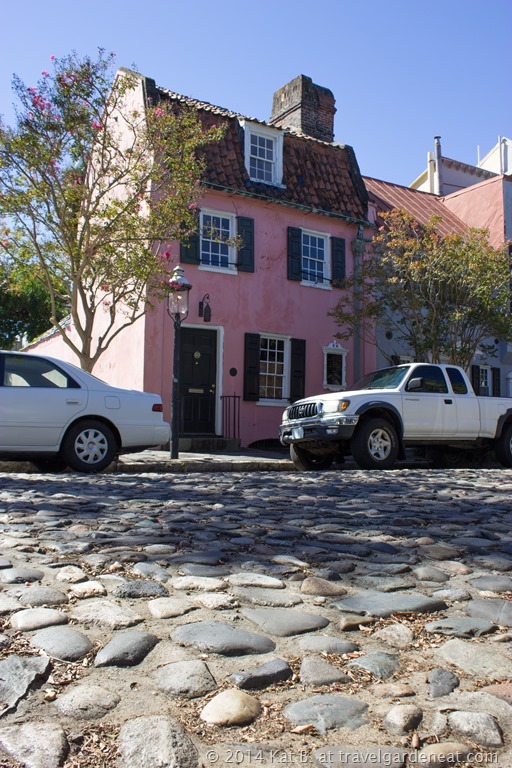 As the 2-hour tour wraps up, you can catch a glance of the little pink house on Chalmers Street that holds more history than almost any other in the South — this pre-1700 structure hosted a brothel and a tavern at various times, and was an important fixture in Charleston’s colorful past. Lee Ann Bain and her tour partner Carol Ezell-Gilson worked incredibly hard to put together a fascinating “behind-the-scenes” look at the family introduced to so many through Sue Monk Kidd’s novel, The Invention of Wings. I would love to share with you all the interesting details they researched and pulled together for the tour, but I think it is only fair you go on the tour yourself to hear the rest of the story firsthand. 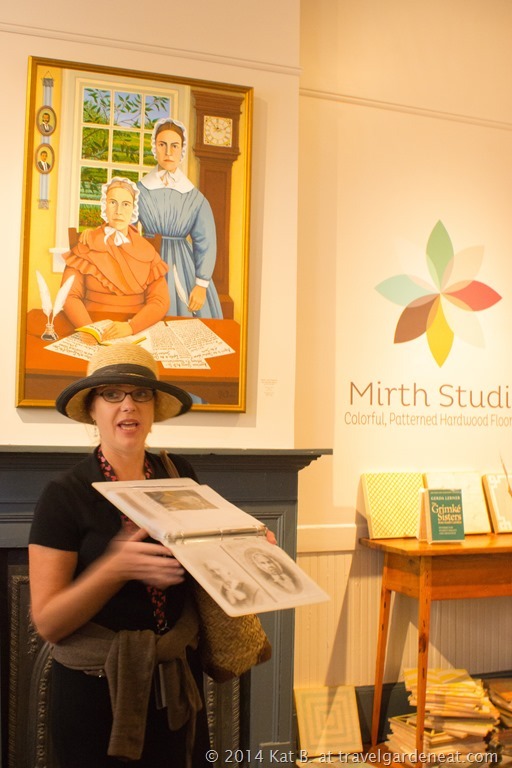 If you do not have the chance to take the Preservation Society’s tour, be sure to stop by the storefront on King Street and view the painting on display this month, created by Carol Ezell-Gilson from photos of the Grimké sisters. 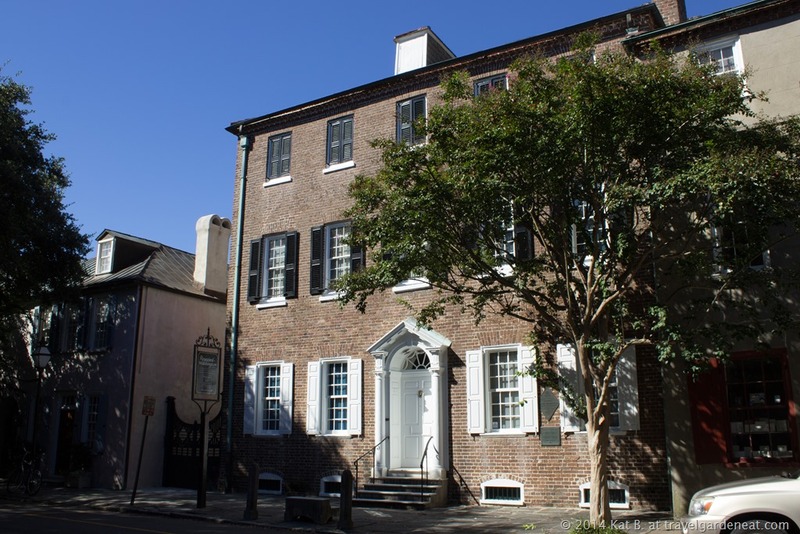 If you are not able to enjoy the Preservation Society’s special events this month, the Society’s gift and book shop on King Street is a worthwhile stop for any Charleston traveler throughout the year. 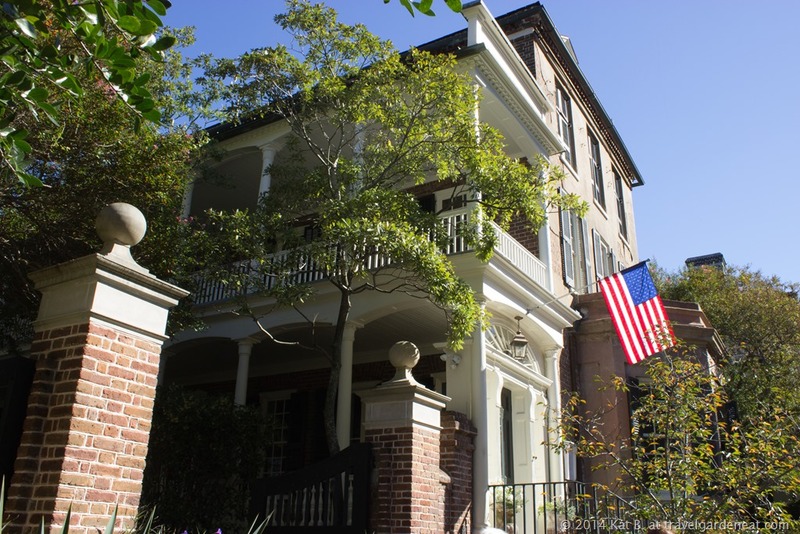 For more information on the Preservation Society of Charleston’s Fall Tour of Homes and special walking tours, including the Invention of Wings tour by Lee Ann Bain and Carol Ezell-Gilson, visit the Society’s website: http://www.preservationsociety.org. Kat, I truly enjoyed this! It reminded me so much of the trip I took to visit a blogger friend near Huntsville, AL. The area of Huntsville was rich in history that we do not have in the Midwestern States. 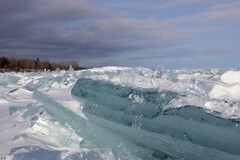 I love the accompanying photographs in this post… just beautiful! 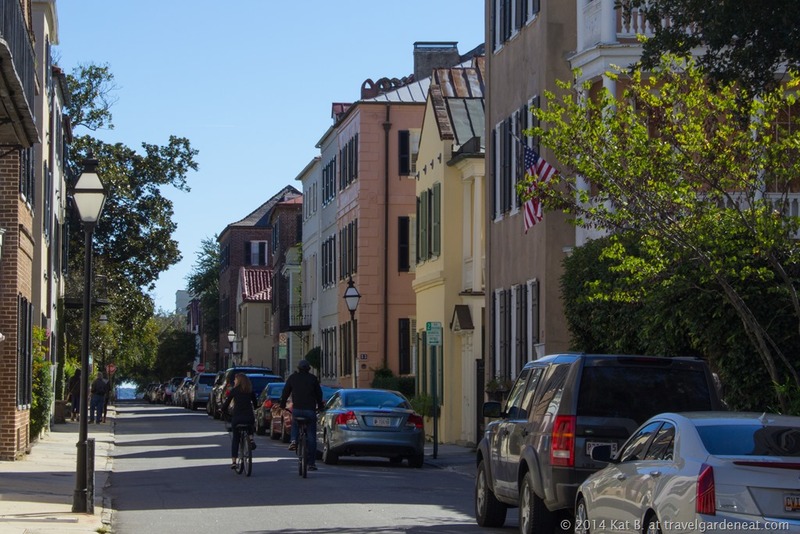 This was my first trip to Charleston and I really had not explored the south while traveling before – looking forward to visiting more interesting pockets of tradition in the region in the years to come. It is a very interesting contrast to our Midwest culture, for sure! Wow! That sounds really interesting! I recently read the book and thoroughly enjoyed it. The Grimke sisters are a true inspiration, and it must have been a great experience to see the historical landmarks in person. Do a little digging on the Internet about their extended family, Sumithra — some fascinating additional stories out there! Thanks for commenting! I’ve always wanted to see Charleston and a walking tour would be the way to do it. So much history in such a pretty setting! And the food!!! Everyone I know that’s been to the city come back praising the city’s restaurants. Thanks for taking us along with you, Kat. This was a great post. I am so dismally delinquent with my blogging…. and still need to finish culling through my Charleston photos! This was my first trip to Charleston and I could appreciate why everyone raves about it so — and, yes, the food!!! The options were deliciously overwhelming! I need to get another post or two up from this great weekend trip. Hey Kat, we’re an Aussie travel TV production. We recently filmed in Charleston and loved every minute of it. Your blog and images are amazing. Inspiring stuff. This is Lee Ann Bain of the Grimke Tour. Thank you so much for the wonderful post!. Glad you enjoyed the tour. Carol and I are in the process of putting together a website for our tour and I was wondering if it would be ok to link to this blog post? Next time you are in Charleston, please look us up. Congrats; it is an awesome summary of a wonderful tour!